You have to take care of so many things when you first start to wear contact lenses. 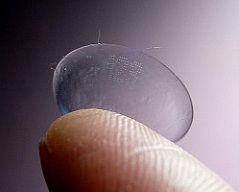 The most common issue is that first-time users inadvertently turn their lenses inside out. 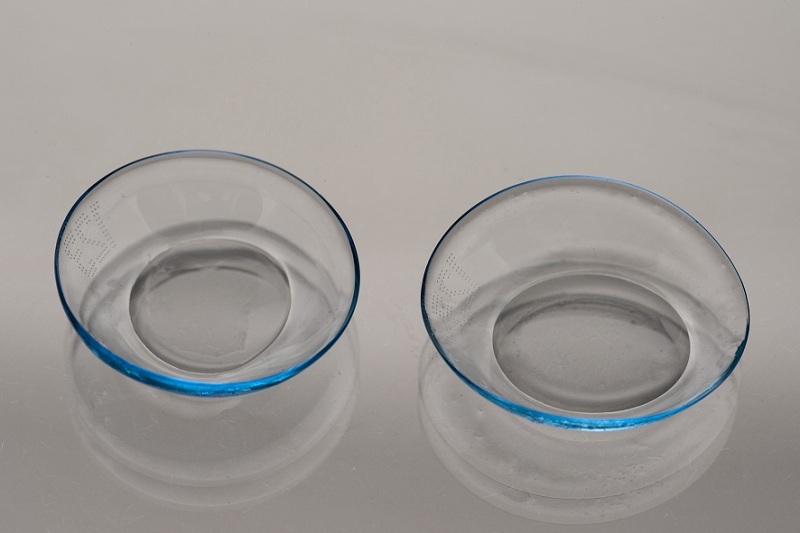 Many people ask how to tell if your contacts are inside out.You won't be facing this issue though if you wear the rigid gas permeable type lenses that are not flexible enough to be turned inside out, but you are more likely to deal with this issue when wearing soft contact lenses. There are certain signs to confirm if you are wearing your lenses correctly. You have to check your lenses carefully and look for certain signs to tell if your lenses are ready to wear. 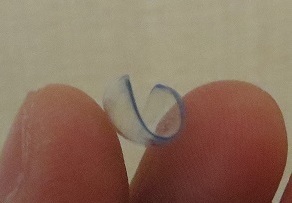 Here are some ways to understand how to tell if contacts are inside out. 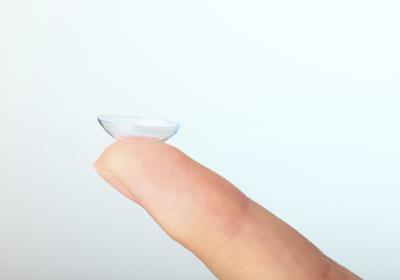 Take one of your contact lenses and place it on the tip of your finger. Make sure the edge of the lens is pointing up. Now, bring your finger close to your eyes and look at the lens from the side. The lens is correctly oriented if it forms a cup-shape with its edges in an upright position. Your contact is inside out if you notice an outward bend. Take your contract lens, place it between the tips of your forefinger and thumb and grasp it gently near its center while making sure the edge is free. Squeeze it gently. If you notice its edge pointing upward, it is correctly oriented. Your lens is inside out if its edge bends outward. 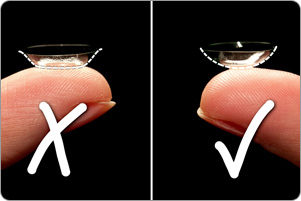 If you have contacts with a handling tint, place it on your fingertip and look at it closely from above. It is correctly oriented if the handling tint looks very blue. It is inside out if the color looks rather pale. Have a closer look at your contact lenses and look for any laser markings. Simply perch the lens on your fingertip and then look at it closely while holding it up to a bright light. Do you see the markings clearly? It means the lens is correctly oriented. If the marking is backward, it means your contact lens is inside out. While it is important to understand how to tell if your contacts are inside out,you also need to know the right way to wear your lenses. Here are the steps you need to follow to put on your lenses correctly. Start by washing your hands properly. Use a clean towel to dry your hands completely. Rinse your lenses using special solution to remove any debris. You do not need to rinse it though if you are going to wear brand-new contacts. Always wear lens in your right eye first to avoid mixing it up. Hold your upper eyelid with your other hand and use your fingers to lower eyelid. Try not to blink your eye while trying to put it on. Place your lens on the lower part of the eye while looking up. Remove your hand from your eyelid very slowly. Let your eye close for a moment and then blink a few times to help your lens find the centers. If you feel your lens is hurting your eye or is uncomfortable in any way, you may want to remove it and check it for debris or damage. Here is how to take it off. Wash your hands and use a clean towel to dry your hands completely. Pull down your lower eyelid while looking in an upward direction. Use your index finger to touch the lower edge of the lens. Squeeze it gently using your index finger and thumb. Remove it, clean it, and reinsert using the procedure mentioned previously. It definitely helps to understand how to tell if your contacts are inside out, but many other tips will help you wear and take care of your contact lenses in the right way. Do not expose your eyes to lake, shower, smoke or pool water to prevent any irritation. Keep your eyes closed if you have to be in the smoke for a short time, but wear goggles or glasses to stay in the water or smoke for longer periods. Do not wear your contact lenses immediately after waking up in the morning. Wash your eyes with fresh water to get rid of any mucus near your eyes before wearing your contacts. Do not push yourself if your contacts do not fit properly. Talk to your doctor who will help you identify a right brand or type of contact best suited for you. Try to wear your contacts before you apply any makeup. This will prevent any contamination. You should remove your contacts before removing your makeup in the evening.